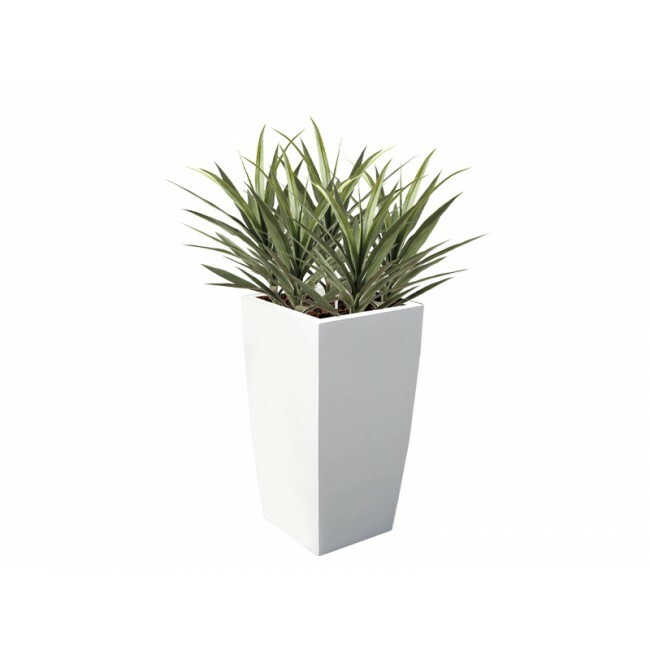 Sleek lines and a tapered silhouette define the Toulan Square Planter, making it a stunning design element on its own. The Toulan Tall Tapered Square Planter, with its edge on a classic shape, can adapt to contemporary and transitional design schemes with ease. Suitable for both indoor and outdoor use, the planter can add a natural environment to lobbies, entryways, patios, decks and other spaces while delivering on plenty of style. Paired with various types of greenery, it can liven up both small and large floor spaces in restaurants, hotels, office buildings, retail complexes and hospitals. 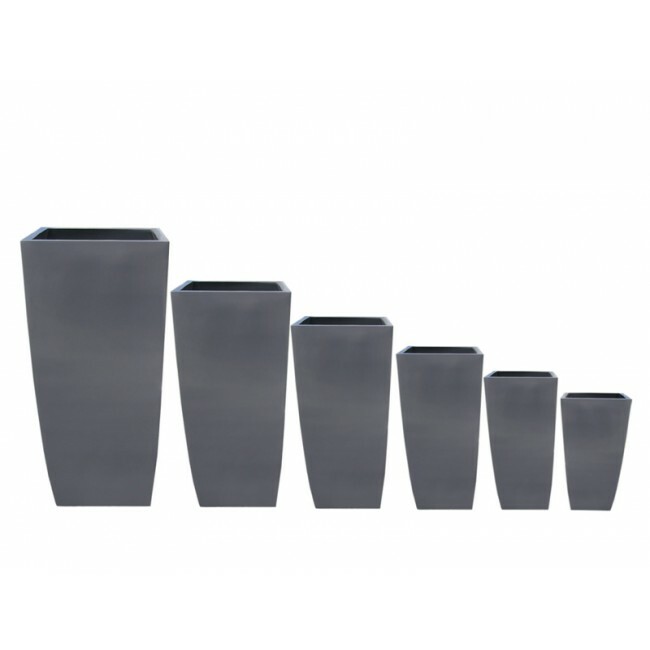 Available in six sizes, measuring from about 2 feet to 4 feet in height, the Toulan planter can be further customized in an array of matte, metallic, glossy and satin finishes. Handmade of quality fiberglass by master craftsmen, the Toulan Planter is built to endure the outdoor elements, including direct sunlight, rain and other weather conditions. The automotive grade, hand-painted finish resists fading. 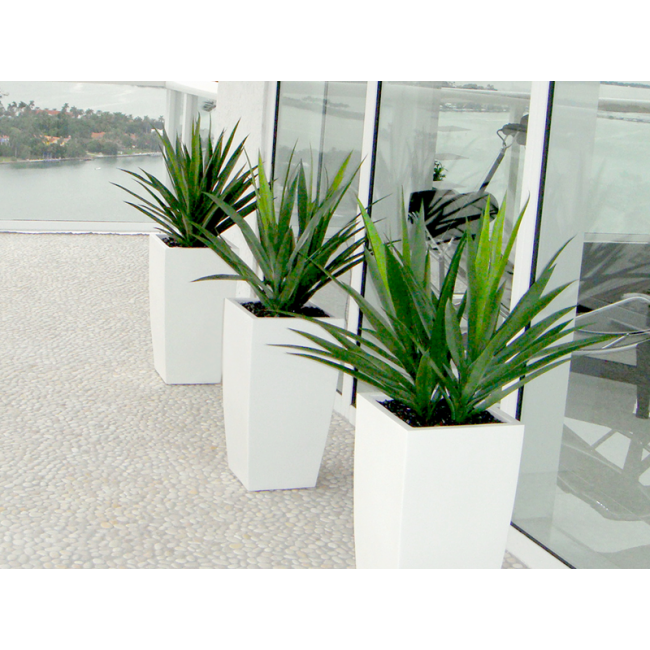 With the planter available in three sizes and 16 colors, the Toulan Planter is a versatile piece. Choose from among hues like Glossy Red, Matte Charcoal, Satin Beige or Metallic Silver to suit a wide range of design styles.